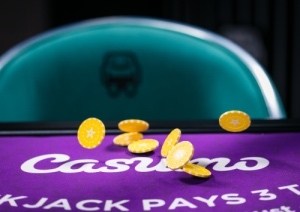 Both Roulette lovers and Blackjack enthusiasts have a lot to look forward at Casumo during the upcoming days, as the casino has launched a brand new exclusive live casino. Play your favourite table games to win cash prizes and Apple products! Casumo has just released a new live casino that is different than most live casinos you’ll find on the internet. The classic Vegas look has been replaced with a flashy and unique design, but you can still expect professional dealers and great gameplay. To celebrate the launch, Casumo is hosting a couple of great live casino promotions for both roulette and blackjack. Keep reading to learn how you could win tons of cash or the latest Apple gadgets! Take a seat at the Casumo Live Roulette between the 6th and the 9th of August and play to get an entry into the raffle. You just need to place a bet of at least £10 in order to join, and it doesn’t matter if you win or lose the spin - the raffle ticket is still yours. The prize draw is held on the 12th of August, and popular prizes such as an Apple package, a MacBook Pro and much more is up for grabs. By playing for £10 you will also get a ticket into the main £10,000 raffle that takes place on the 19th of August. Blackjack players are not left out in the cold, as you can get some instant cash prizes with some extra luck at the Casumo Live Blackjack table. The casino will add a set of golden cards to the decks between the 13th and the 17th of August, and if you’re dealt one you’ll run away with an instant cash prize. The biggest prize is £500, and there are 20 different cards added to the shoe. If you wager £10 or more you will also get an entry into the £10,000 prize draw on the 19th of August. Check out all the terms and conditions by visiting Casumo. We would also like to remind you about all the special Reel Races that are running at Casumo every night this week. Get ready at 20:00 or 22:00 every night and play popular slots such as Moon Princess and Twin Spin for a chance of winning up to £2,000 in real cash. Thousands is being handed out this week, so don’t miss out! You can learn more about the Reel Races over at Casumo.